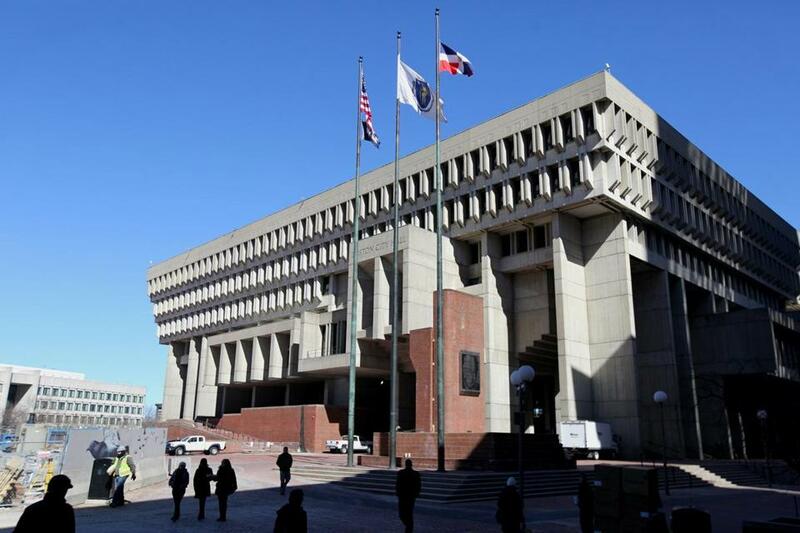 In a spirited hearing, the Boston City Council passed Mayor Martin J. Walsh’s new fiscal year budget Wednesday, though several councilors expressed disappointment with his prescribed level of funding for schools. The $2.98 billion budget stands as the largest in Boston’s history. Almost one-third of those funds are for Boston Public Schools, which will receive about $18 million more than the previous fiscal year. City councilors had rejected Walsh’s first budget proposal, after which his administration upped school funding totals by nearly $5 million. But City Councilors Andrea Campbell, Annissa Essaibi George, Ayanna Pressley, and Tito Jackson said the increases were still not enough and voted against passage of the fiscal year 2017 budget. “How at this time, the best of times for a part of the city, can we turn our back on young people who need it?” Jackson told his council colleagues. In May, more than 1,000 BPS students walked out of class to protest proposed budget cuts, some chanting “What about our future?” and holding signs that decried city leaders. Jackson said he rejected the proposed BPS budget to support these protesting students, calling city leaders “complicit” in worsening the achievement gap. Council President Michelle Wu, who voted in favor of the school budget, said she ultimately believed it was a fiscally responsible and sustainable option. Amid drastically declining aid from the state, Wu and other councilors stressed that local government will be forced into tough funding decisions unless new sources of local revenue arrive. Going forward, Wu said she hopes the council will “hold the administration's feet to the fire” and force improvements in public education. Though most debates centered on school funding, other issues received widespread support from the council. The newly adopted budget also includes investments in the city’s parks, emergency management services, and for individuals returning from incarceration. The council also approved a $15 million appropriation for the North Avenue Bridge project, an effort to replace a closed century-old bridge over Fort Point Channel. One significant omission from the budget: the Housing First program, championed by Councilor Josh Zakim, which attempts to find permanent housing for the homeless before providing services. Zakim said he was disappointed the measure was not included. The budget does not reflect any changes in wages that could come once the city negotiates with public employee unions. In a statement, Walsh hailed the new budget as a win for Boston taxpayers. “This budget includes reforms, savings, and efficiencies that will allow us to make important investments that will keep Boston a world-class city,” Walsh said. Astead W. Herndon can be reached at astead.herndon @globe.com. Follow him on Twitter @AsteadWH.